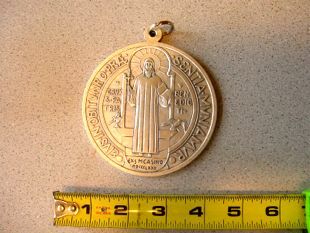 View Large Image Large St. Benedict Medallion: This amazingly large 4 inch dia. 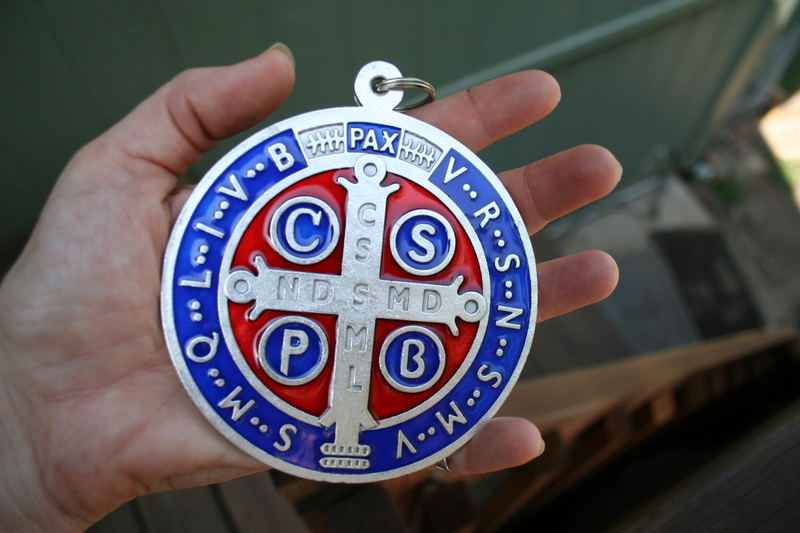 medal of St. Benedict is very heavy and finely detailed silver tone metal construction. 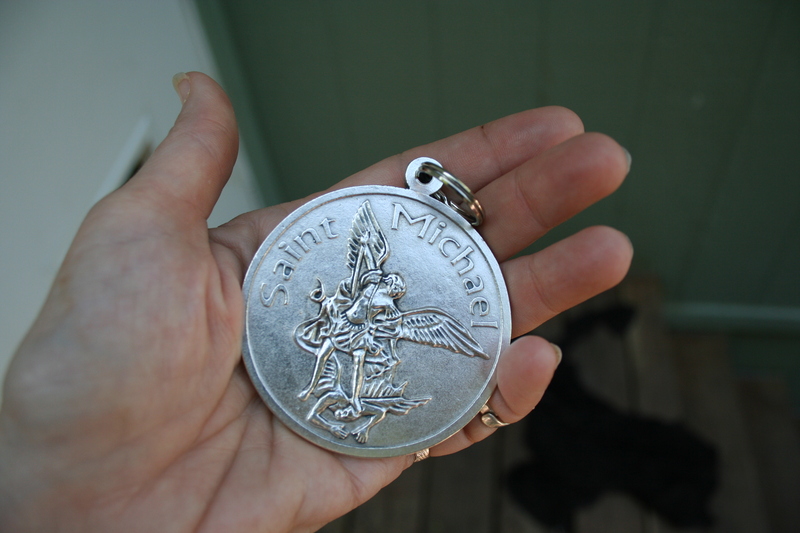 It is a great size to hang on your front door or on the wall. This is a really unusual item that we are importing - hard to find and very distinct. 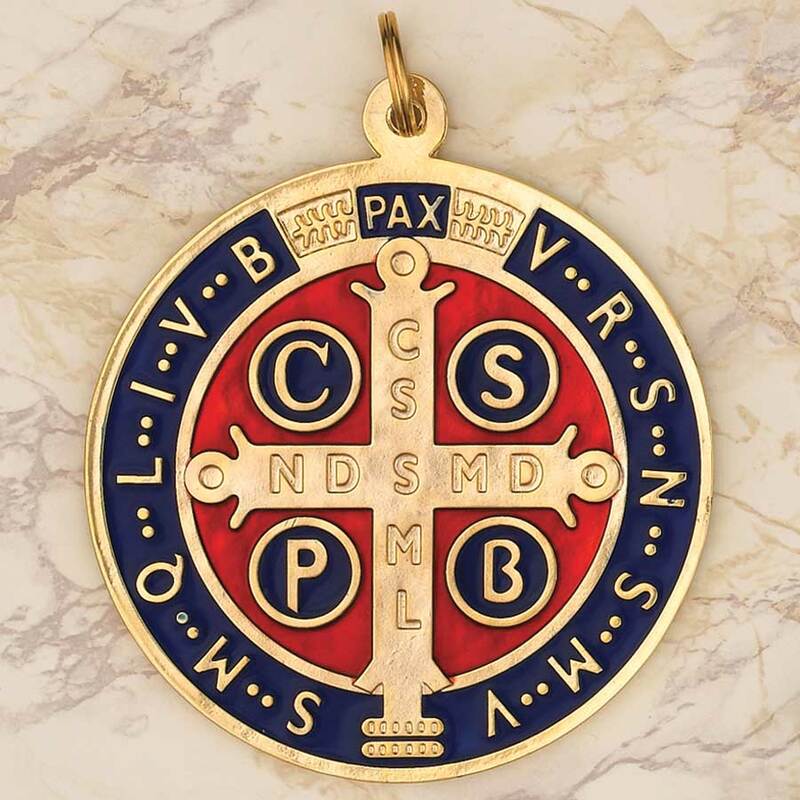 This is a very special medal and we only have a few left in stock - just $34.95 NOW Just $29.95!